The city of Liverpool needs no introductions. Situated just 2 1/4 hours from London and in the geographical centre of the British Isles, the city is steeped in history and culture. Thanks to its maritime heritage, Liverpool is international in outlook and cosmopolitan in character. The former European Capital of Culture boasts more listed buildings than any British city outside of London. 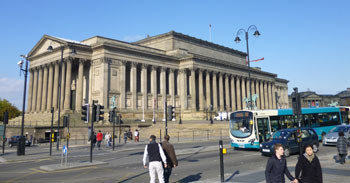 Indeed, much of central Liverpool is a UNESCO World Heritage Site, crammed with museums, art galleries, theatres and prestigious centres of learning. Liverpool is a city that lives and breathes football. 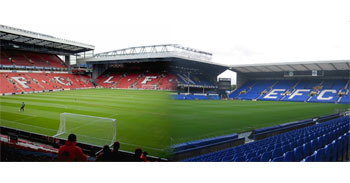 Everton and Liverpool are two of the most famous and successful clubs in English football and their combined success makes the city England’s unrivalled football capital. Liverpool is also home to the Grand National, the world’s most famous horse-race as well as being the golfing capital of England, frequently hosting the British Open. The city has a superb sporting infrastructure with a multitude of gyms, leisure centres, parks and Olympic standard sports facilities. Liverpool is one of Europe’s trendiest cities. 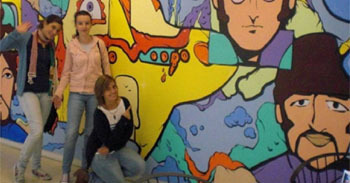 World renowned for being the birthplace of the Beatles, the city’s unique culture has spawned a multitude of other famous artists: from writers and actors to sportsmen and musicians. 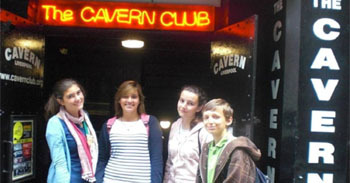 In fact, Liverpool is in the Guiness Book of Records for producing more number one hits than any city on the planet! For a night out on the town, Liverpool offers something for everyone, from the Cavern Club to Cream, famous theatres, cinemas and gastronomy from every corner of the globe. Every August Bank Holiday, the city plays host to the Mathew Street Festival, Europe’s largest outdoor music event. For two days, central Liverpool transforms itself into a spectacular open air music venue, packed with hundreds of thousands of revellers enjoying music from every imaginable genre. Liverpool is also a shopping Mecca and the city’s women are famed for their unique sense of style. So one thing is for certain, when you learn English with us, you’ll be studying in one of the coolest cities in the world.